Resignation of the Pope – Was it On Time? Religion in all its forms is a vital component to the entire global perspective. It was the economic collapse of Rome that furthered Christianity as people turned from their gods when their prayers were not answered. 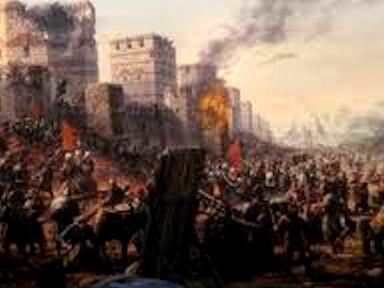 The Crusades exposed Europe to even bathing and opened the door for Merchant Banking and the modernization of Europe with the Renascence that began with the fall of Constantinople in 1453 (pictured above) sending the books and scholars to Rome beginning schools. That exposed students to a whole new world of knowledge and maps of the world that inspired Christopher Columbus to set sail in 1492. In Japan, it was the Buddhist Monks who dominated government and kept the Emperor as a pet. The Meiji Restoration in 1868 included the expulsion of the Buddhists from the Imperial Palace. So yes – we also track all religion through its ups and downs without any religious bias. It is always what it is. It matters not what your opinion might be, for the only true important aspect is what the other person believes since they act accordingly regardless whether you agree or not. Hence, organized religion has more often than not been a dangerous political tool rather than the hand of God. The two are SEPARATE and distinct from an economic perspective. Pictured here is a meteorite that crashed in Syria. It was said to have been a stone from God and they built a temple to it and the Roman Emperor Elagabalus (218-222AD) became a priest worshiping it. He portrayed the stone on his coinage and it was carried about in processions. It was just a black meteorite that became known as the Stone of Emesa, now the city of Homs. 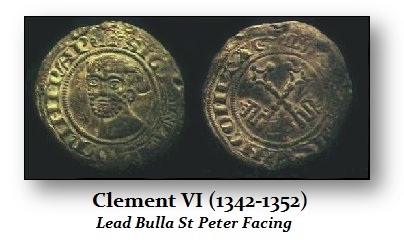 We have also reconstructed the monetary system under the Papacy because it was critical during the Dark Ages. Rome was not exactly the head of the church – that was a role taken by Constantine the Great. 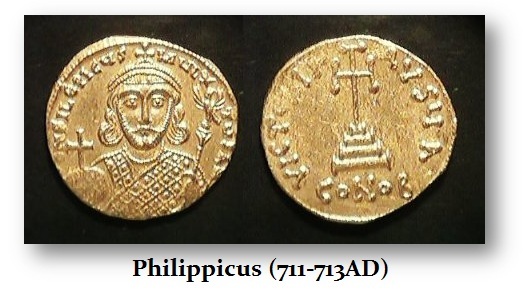 It was during the Byzantine rule of Philippicus (711-713) when it was discovered that he was an adherent of the Monophysite Heresy and the mint at Rome, on religious grounds, refused to produce coins of this emperor. 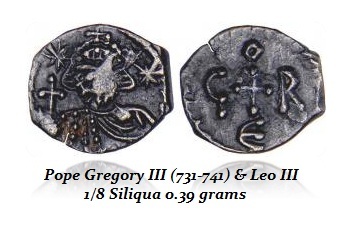 The first Pope to ever put his name on a coin was Pope St. Gregory III (731-741). This was the beginning of the separation between the Catholic Church in Europe and what we call the Eastern Christian Orthodox which to this day extends up to Russia. The confrontation between Luther and the Pope Leo X began the Protestant Reformation. Much of it centered on the sale of “Indulgences” which were a means to raise money since Leo X was the one building the Vatican – St Peters. Luther nailed his Thesis to the Church door on October 31st, 1517, and he was eventually excommunicated January 3rd, 1521. We will be reviewing these cycles as well at the Princeton Conference March 18th & 19th. So who will be the next Pope? That is the more interesting question. Of course most people have heard of Nostradamus and how he supposedly told a priest he would be the pope. But there is another Prophecy of the Popes that has been attributed to Saint Malachy, with a list of 112 short phrases in Latin. This controversial prophecy extended right up to the current Pope Benedict XVI. There is only one left who is to be his successor. A pope who is described in the prophecy as “Peter the Roman”, whose pontificate will end in the destruction of the city of Rome. So just when you thought you sneaked by the Maya Prophecy, here is the next one! Naturally, there are those who claim this list was a forgery written by some monk during the 1500’s. It is certainly authentic since then. What I did find fascinating is that last Pope is to have the name of the first – Peter who died in Rome. I have always been curious with correlations and there is not much that we have not explored putting it always to the test to time and free of bias. I have always taken the position I have no idea about the subject matter so to discover what makes the world really tick, you have to keep an open mind, assume nothing, follow your nose, and approach it like it is the first time. When you keep this approach letting the research guide you rather than trying to prove a predetermined idea, interesting stuff really happens. The curious thing about this list of Saint Malachy, is that it ends with the name that it began with. Pictured here is the LAST Roman Emperor Romulus Augustus (475-476AD). Romulus was the name of the first king who founded Rome and Augustus is the name given to Octavian the first Emperor of Imperial Rome (27BC-14AD). It is fascinating that Saint Malachy’s list ends as it begins and this is the same thing that took place with the Roman Emperors. The last Emperor of Constantinople who died fighting on the walls against the Turks was Constantine XI (1448-1453). 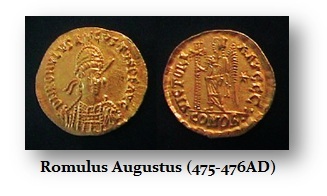 There too, the last Emperor had the name of the first – Constantine I the Great. The criticism that this list of Saint Malachy was a forgery because it did not appear until the 16th century is irrelevant. Clearly, the names it predicted have extended for more than 400 years since then, Additionally, this is always the case with any such list of history ever discovered. There are always people who equally do not know anything who simply always claim it is some forgery. There is a book known as Historia Augusta that they also said was a forgery because it listed numerous Roman emperors during the 3rd century nobody ever heard of. The academics were out in force pronouncing it was garbage. 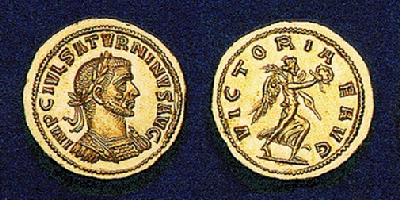 Then two coins were discovered in Egypt with the name Saturninus. One is in the Louvre, the other we had purchased. 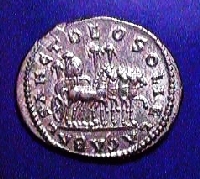 It proved that the academics were wrong again for this was one of the emperors listed in Historia Augusta that is only known from these two coins. The academics said the same thing about Homer – it was written for Children they declared since they could not claim it was a forgery. They argued Homer came hundreds of years later so he could not be writing history but fairy tales. It took Heinrich Schliemann to demonstrate that the academics were wrong once again and always criticize freely but do not venture out to prove their criticism is well founded – just that they do not “think” it is true. The attack on Schliemann still continues long after he is dead. They hate him.